Frank and Enid have led a mixed BB/St John Summer Camp to the Isle of Wight every year for over 50 years! Two of their children have even been each year throughout their lives. Also, a number of romantic partnerships had their origins there. The company was formed in 1981 by the since ever present captain, Frank Patient who had moved to the area after many years at the 25th Waltham Forest (formerly South Essex) Company, latterly as captain. 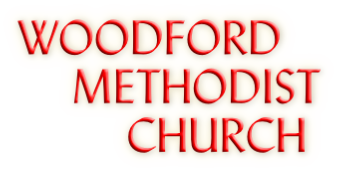 The Company is based at Woodford Methodist Church in South Woodford, a developing suburb in East London and only a couple of miles from where a certain important event is happening this summer! There has been several staff over the years, but two worthy of special mention who have been with the 9th for many years are Peter Knights and Michael Higgins. This has ensured continuity and commitment, an essential element in a successful Company I believe. 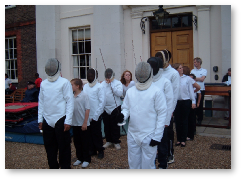 In 2006, the Company celebrated its first 25 years with a number of special events including a celebratory dinner in an old Pumping Station in Hornsey and a Church Parade for members past and present. We also had commemorative mugs produced to be a constant reminder to those in membership at the time of their contribution to a thriving Company.  The Company meets weekly on Tuesday evenings, the Anchor Boys and Juniors meeting together from 6.30pm but where possible doing separate and appropriate activities. Their programme is built around a theme and last year was the story of Joseph. This year, boys have been thinking each week about special days in the calendar including Genes for Jeans Day and Candlemas Day. Folders with information as well as their own inputs have been evolving week by week. This is their key achievement work. 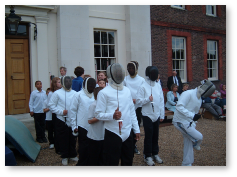 The Company and Senior Sections meet from 7.45pm and have a varied programme that includes fencing (with foils not the distribution of stolen goods!). With the assistance of the St John Ambulance Nursing Cadets run by Frank’s wife Enid, our team have demonstrated their skills at various places including the Royal Chelsea Hospital and Buckingham Palace. We have had an Annual Display each year which gives us the opportunity to show parents and members of the Church some of the things that we do during the sessions. Most awards are presented on that evening. In recent years we have been blessed with some outstanding young men who have earned their Queen’s Badges, the highest possible BB award. Simon Lloyd, Kelvin Adasonia, Todor Naskinov and Jamie Andrews have all progressed to be officers although their BB presence is limited due to university. Each of these young men have been personally presented with their badges at a Church Parade by John Young who is the current President of the BB London District as well as at a presentation occasion with other Queen’s Badge achievers from throughout London. It is difficult to provide a true measure of a successful BB Company, however recent years have been unprecedented with four Queen’s men and hopefully more to come in the near future. 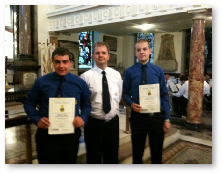 The current Junior Section lads are some of the best that I have worked with. Their success is reflected in the fact that they have won all but one of our Battalion trophies during the last twelve months! 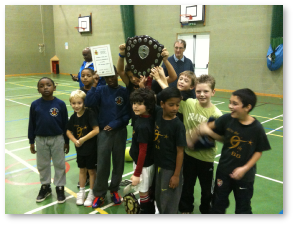 In the 5-a-side football tournament recently, our two teams reached the final and we had no change strip so the year 5 boys played in skins and won! The future looks bright although age is catching up on some of the staff! Our young leaders are taking up the challenge of taking the Company forward as we seek to reach our 50th anniversary in 2031, only 19 years ahead of us.